Bitte wählen Sie ein weiteres System aus, um es mit MariaDB zu vergleichen. Unsere Besucher vergleichen MariaDB oft mit PostgreSQL, MySQL und MongoDB. Open source database from the creators of MySQL, enhanced with enterprise tools and services. Optimized for performance and offering high availability, security and interoperability. High availability, scalability, performance beyond MySQL and other databases. Web, SaaS and Cloud operational/transactional applications that require high availability, scalability and performance. 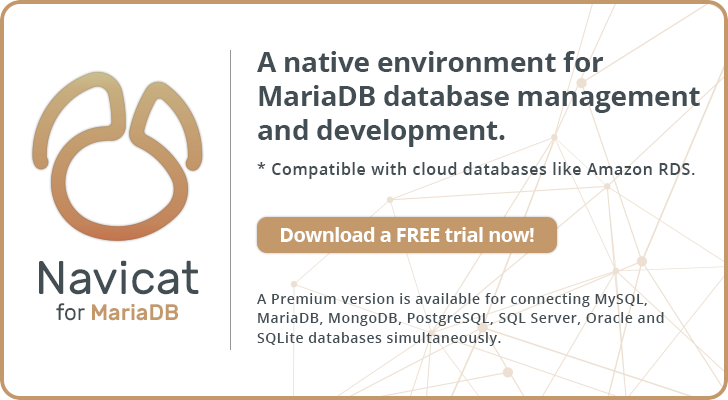 MariaDB is the default database in the LAMP stack supplied by Red Hat and SUSE Linux, and the cloud stacks offered by Pivotal Cloud Foundry and Rackspace.